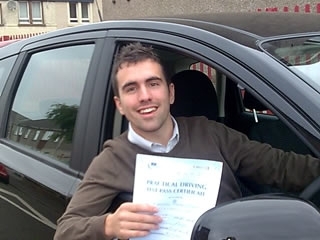 Congratulations to Tony Coccoran who passed first time. The drive was good enough to easily pass an advanve driving test. He started lessons on the 1st of June and passed on the second of August just in time to leave for America to continue University studies. Well done Tony.